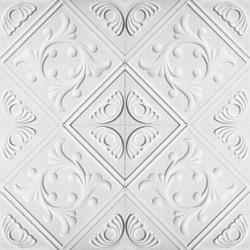 Manufacturer of a wide range of products which include mineral fiber ceiling tiles, ceiling tile and grid ceiling. Mineral Fiber Ceiling Tiles adopts granulated high-density Mineral Wool as the main material and top production technique which gives it superior features of fire-proofing, sound absorption, heat insulation & sag resistance. They are cost effective and are mainly used for acoustics and decoration. With fully developed textures and attractive price, these products are being more and more recognized by the markets over the world. We are offering a wide range of Mineral Fiber Ceilings, which is offered at market leading prices. These fiber ceilings are ideally utilized as suspension ceiling. Our Eco-friendly ceilings are biodegradable and find application in theaters, libraries, lounges, shops, canteen, and cafeterias. Easy to install, we offer these at market leading prices. Our mineral fiber materials are made from selected rock/slag fibers and special binders. The mineral fibers are uniformly interwoven by the unique wet-felting process to form rigid board and tile which are non-combustible and fire-resistant. The ceiling tiles are fixed on a GI modular grid system using Main runners and Cross Tee with which grid system of 600mm X 600mm is formed and tiles are laid for easy access and removal. The Decosonic Mineral Fiber Ceilings Tiles are available in standard thickness of 12 mm, 15 mm, 18 mm. Our Tiles have maximum density than any comparable manufacturer in the country - 260-320 Kg/m3. We are Leading manufacturer of all type of Ceiling tiles including Lay-in Tiles, Clip-in Tiles, Linear Ceiling in G.I. & Aluminium with a different type of perforation and colors. 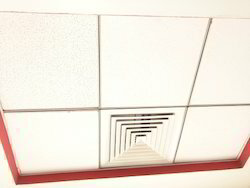 We are offering Grid Ceiling.